Congratulations! The countdown to graduation day has begun, the finish line is in sight, and the next step in your nursing career awaits! So where should a recent or soon-to-be graduate nurse (GN) go from here? 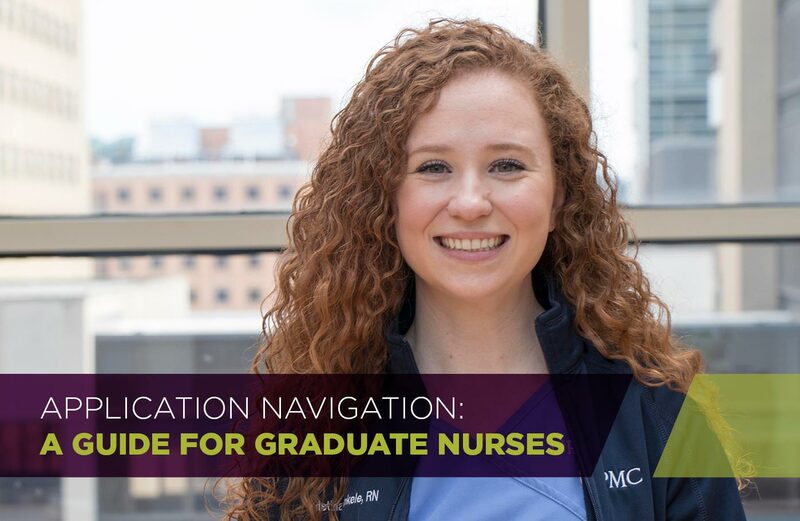 Read below for helpful hints for GNs on how to navigate the application process at UPMC! Nursing students nearing graduation or graduate nurses (GNs) are encouraged to apply. All offers of employment extended to GNs are contingent upon obtaining a Temporary Practice Permit (TPP). We recommend that students start applying at the beginning of their final terms in nursing school. Applying during this window gives applicants the best chance of being considered for a nursing role at UPMC. What Positions Should GNs Apply For? GNs can apply to ANY staff nurse or professional staff nurse opening listed on our UPMC Careers Site that aligns with their specialty of interest! We are focused on building a great team that is enthusiastic about delivering the very best in patient care each and every day. That’s why we offer a variety of ways for GNs to advance in their careers and become the best at what they do. Whether you’re expanding your knowledge through a baccalaureate or postgraduate degree, being recognized for a clinical achievement, or embarking on a new leadership opportunity, we encourage all new nurses to embrace the chance to advance in their career. UPMC is proud to offer a year-long Nurse Residency program to all graduate nurses that utilizes curriculum from the American Association of Colleges of Nursing. This program supports new graduate nurses as they transition to competency and professionalism in their new role with a focus on leadership, patient safety outcomes, and professional development that culminates with creation of an evidence-based project. Here at UPMC, our passionate and talented nursing staff play a very important role in our effort to bring life changing medicine to our communities and hospitals. Join us in making a difference as you embark on the next step of your career journey! This post originally appeared at UPMC Careers. Download a PDF of this post here.